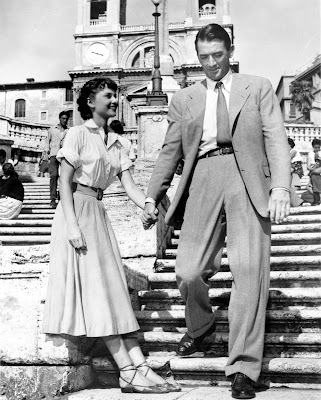 TCM is kicking off its month-long celebration of Audrey Hepburn with Roman Holiday (1953). 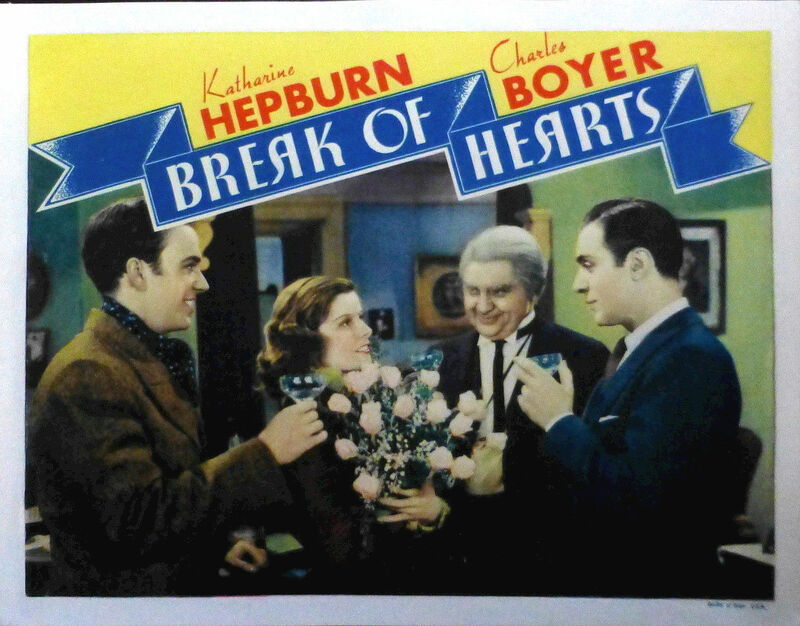 This romantic comedy about a princess on the run co-stars Gregory Peck. 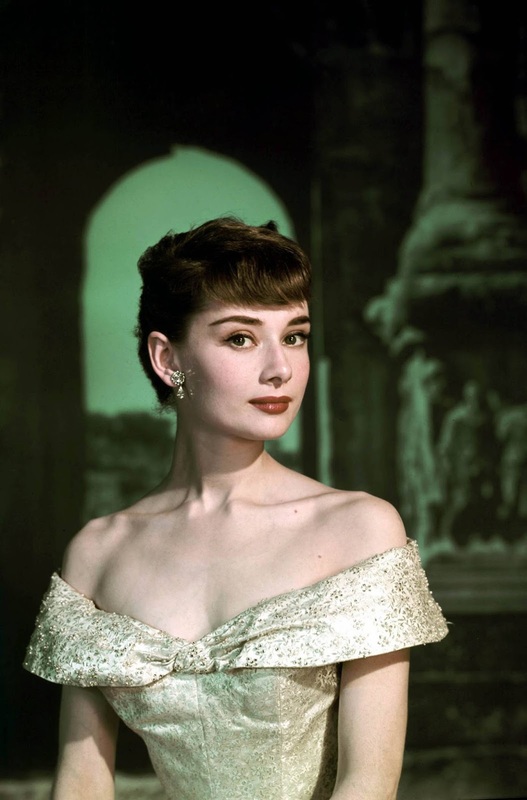 Every Monday in June, TCM is airing the films of actress and fashion icon Audrey Hepburn. This week features some of her best roles of the 1950s, including Roman Holiday (1953), Love in the Afternoon (1957), and Green Mansions (1959). There's also a night of movies set in Europe and guest programmer Billy Bob Thornton's picks. 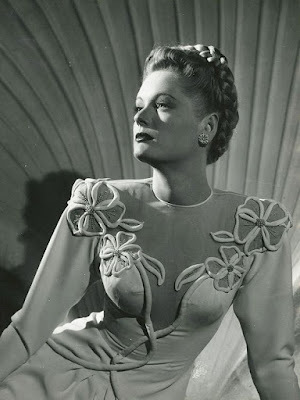 Birthday tributes: Alexis Smith on Thursday. TCM Essentials: Academy Award winner Ray Milland plays a writer who is trying to overcome his addiction to alcohol in The Lost Weekend (1945) at 8 p.m. Saturday. Silent Sunday Nights: Danish director Carl Theodor Dreyer's social satire, Master of the House (1925) at midnight Sunday finds a formidable nanny (Mathilde Nielsen) giving a tough-love lesson to her former charge (Johannes Meyer). TCM Imports: Two films from Japanese director Nagisa Oshima starting with the teenage romance Cruel Story of Youth (1960) at 2 a.m. Next is the drama Boy (1969) at 4 a.m. about a child (Tetsuo Abe) who is forced to help his dysfunctional family pull off insurance scams. Audrey Hepburn as Princess Ann in Roman Holiday (1953). Three daytime picks: In addition to the movies I mentioned in the best day to DVR section, there's Vincent Price as an art critic who champions killer Ben Gazzara's paintings in the prison drama Convicts 4 (1962) at 8:45 a.m. and Christopher Lee as the 'stache-wearing evil doctor in the low-budget horror film The Face of Fu Manchu (1965) at 12:15 p.m. Finally, the suave Adolphe Menjou plays an Italian doctor in the World War I drama A Farewell to Arms (1932) at 2:15 p.m.
Prime time lineup: TCM is celebrating the career of leading lady Audrey Hepburn each Monday in June. 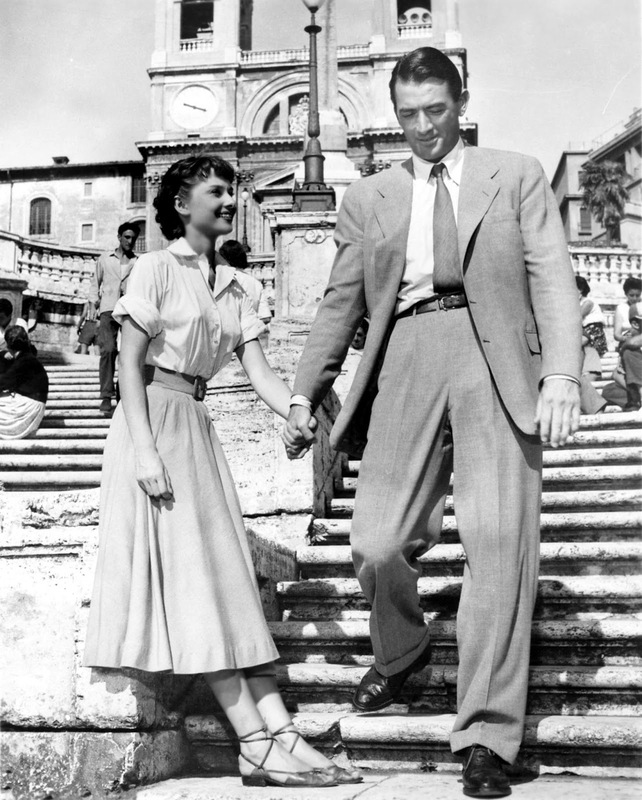 This week's prime time selections include two great romances: Roman Holiday (1953) at 8 p.m. and Love in the Afternoon (1957) at 10:15 p.m.
Late night pick: One of Hepburn's most unusual roles was as the mystical Rima, the Bird Girl in Green Mansions (1959) at 12:45 a.m.
Ann Savage and Tom Neal in Detour (1945). Three daytime picks: The theme is movies about orphans starting with Leslie Caron as a French orphan who joins a carnival in Lili (1953) at 8 p.m. Midnight Mary (1933) at 12:30 p.m. finds hard luck orphan Loretta Young doomed to a life of crime, while plucky Anne Shirley brightens up Prince Edward Island in Anne of Green Gables (1934) at 6:30 p.m.
Prime time lineup: A night of movies directed by Edgar G. Ulmer who was known for making low-budget but visually stylish films like the Boris Karloff-Bela Lugosi horror flick, The Black Cat (1934) at 8 p.m. The Cavern (1965) at 9:15 p.m. is an unusual World War II film about a diverse group of soldiers and civilians who are trapped in a cave after an explosion. Late night pick: Ulmer's best-known film is the road-trip-gone-wrong noir, Detour (1945) at 2:15 a.m.
Three daytime picks: The theme is movies starring all-time great Katharine Hepburn starting with the underrated weepie Break of Hearts (1935) at 6:30 a.m. about the star-crossed romance of two classical musicians (Hepburn's love interest is Gallic charmer Charles Boyer). Next is Kate's one and only noir, Undercurrent (1946) at 11:45 a.m., which finds her caught in a murderous love triangle between husband Robert Mitchum and brother-in-law Robert Taylor. Finally, la Hepburn plays an eccentric Parisian who fights a group of oil tycoons in The Madwoman of Chaillot (1969) at 6:15 p.m.
Prime time: TCM's guest programmer for June is Oscar-winning actor, director, and screenwriter Billy Bob Thornton. His first prime time choice is the drug addiction drama The Man with the Golden Arm (1956) at 8 p.m, which Thornton chose because of its "social importance" and his admiration of star Frank Sinatra's fearless performance. Next, Thornton picked director George Stevens' epic Giant (1956) at 10:15 p.m. because of the film's willingness to deal with tough subjects like "class, segregation, and racism." Late night pick: Thornton calls his late-night pick, Pat Garrett & Billy the Kid (1973) at 2 a.m., "the first rock 'n' roll Western." Three daytime picks: A birthday tribute to leading lady Alexis Smith who was born Margaret Alexis Smith on June 8, 1921, in Penticton, British Columbia. 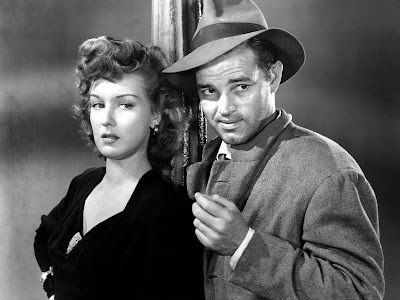 After being discovered by a Warner Bros. talent scout during a drama school production, she became a top contract player at the studio often appearing opposite leading men Ronald Reagan -- the veterinarian drama Stallion Road (1947) at 11:30 a.m. -- and Errol Flynn -- Westerns Montana (1950) at 1:15 p.m. and San Antonio (1945) at 2:45 p.m. One of Smith's best roles was as the protective sister of Eleanor Parker in the Gothic chiller The Woman in White (1948) at 6 p.m.
Prime time lineup: TCM is putting the spotlight on gay Hollywood every Thursday in June with movies from actors, directors, and screenwriters who were part of the LGBT community. Tonight's lineup features two biopics about gay composers. First up is Cole Porter (Cary Grant) in Night and Day (1946) at 8 p.m. followed by Lorenz Hart (Mickey Rooney) in Words and Music (1948) at 10:30 p.m.
Late night pick: Farley Granger was a top star in the 1950s in films like director Alfred Hitchcock's thriller Rope (1948) at 1 a.m.
William Powell, Myrna Loy, and Skippy in a publicity still for The Thin Man Series. Three daytime picks: The LGBT theme continues in the morning with pioneering producer Harriet Parsons who worked on the wonderful romance The Enchanted Cottage (1945) at 9:45 a.m. The afternoon lineup is devoted to the work of canine star, Skippy, a fox terrier who starred in several thirties movies including the Philo Vance (William Powell) mystery The Kennel Murder Case (1933) at noon. 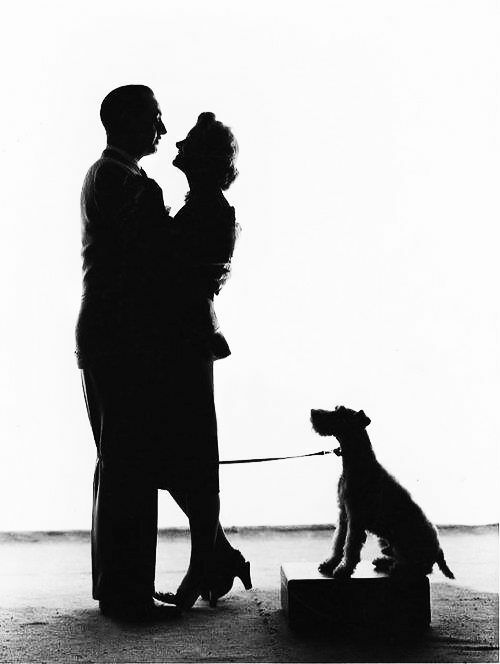 Skippy's definitive role was as Asta, the faithful canine companion of sleuths Nick and Nora Charles (Powell and Myrna Loy) in The Thin Man (1934) at 3 p.m.
Prime time lineup: If you can't travel abroad this summer, you can take a European vacation on TCM every Friday night in June. Journey to London with Fred Astaire and Jane Powell in Royal Wedding (1951) at 8 p.m. and then jet off to Madrid with Ann-Margret, Carol Lynley, and Pamela Tiffin in The Pleasure Seekers (1964) at 10:30 p.m.
Late night: Join Jacques Tati on the French seaside for the delightful comedy Monsieur Hulot's Holiday (1953) at 3:45 a.m. The Essentials series continues at 8 p.m. with new host Alec Baldwin. He will be joined by former late-night host David Letterman to discuss writer and director Billy Wilder's powerful drama about alcohol addiction The Lost Weekend (1945) at 8 p.m. followed by two more films with scores from composer Miklos Rosza: the sentimental Merle Oberon-Joseph Cotten romance Lydia (1941) at 10 p.m. and the costume drama Ivanhoe (1952) at midnight. The prime time lineup is all about movies set in Oregon starting with scout James Stewart facing off against outlaw Arthur Kennedy in 1840s Oregon in Bend of the River (1952) at 8 p.m. followed by John Ericson as a cavalry officer who tries to help the Shoshone nation in Oregon Passage (1957) at 10 p.m.